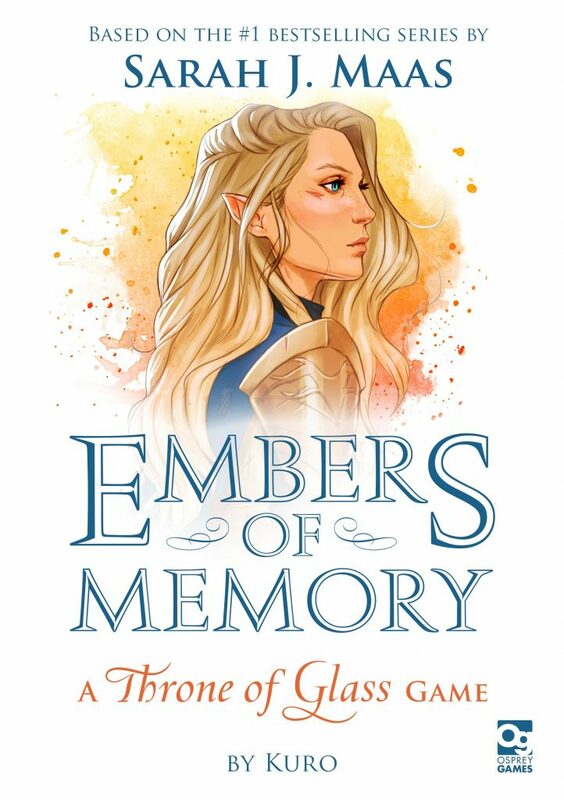 I really love fantasy stories and I’ve read almost all of the Throne of Glass series by Sarah J. Maas so I’m super excited that Osprey has just announced they will be publishing Embers of Memory: A Throne of Glass Game which is based on the books. The game will be coming out in October of 2019 and is a two-player co-operative card game designed by Kuro (Seventh Hero, Unicornus Knights, Lemuria). Players must work together to guide the main character of the books, Aelin, navigate the difficulties she faces going from slave to assassin to queen. You can pre-order Embers of Memory: A Throne of Glass Game here.